INTEGRITY (LIM JING FUNG WON YIN MOK) director Alan Mak Siu Fai earlier led Sean Lau Ching Wan, Nick Cheung Ka Fai, Karena Lam Ka Yun and other actors to attend the Beijng press conference and began their Mainland promotional tour! 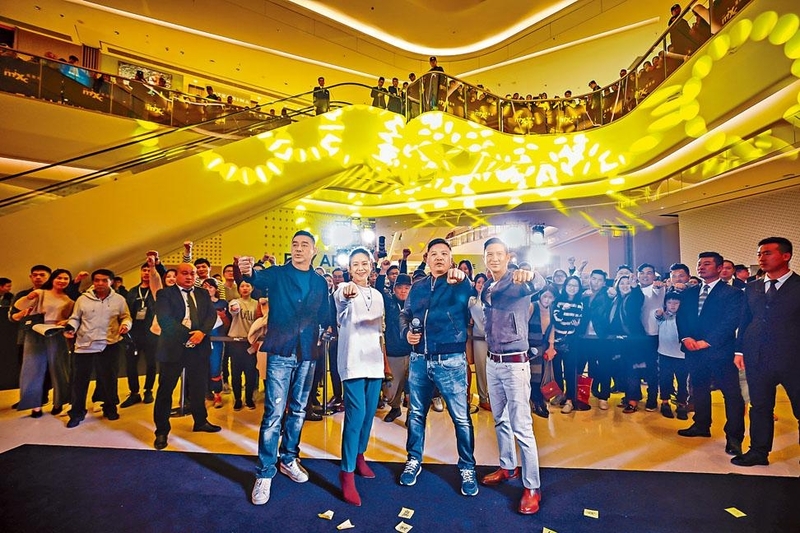 The first stop had the director Mak Siu Fai, Ching Wan, Ka Fai and Ka Yun super luxury Lunar New Year group in Shenzhen. A female fan successfully broke through the defense and surprise attacked Ka Fai. Ka Fai calmly thanked the fan for the support. Many felt that INTEGRITY's Spring Festival release was a little strange. Mak Siu Fai said that he felt Lunar New Year films did not have to end with "Kung Hei Fat Choi" to be suitable for the Spring Festival release. The holiday needed an entertaining movie. From this angle, their film was very suitable for this slot. At the promotion, the director, Ching Wan, Ka Fai and Ka Yun made their own calligraphy couplets and gave them to the audience. Ka Fai even gave one to someone who was having coffee, which was very appropriate to the ICAC subject. In addition, during the games a female fan successfully broke through the security defense and took the chance to hug Ka Fai on the stage. Ka Fai calmly thanked the fan for her support with a smile. After Shenzehn they continued on to Guangzhou, Dongguan, Huizhou, Xiamen, Zhuhai, Suzhou and Jiaxing to meet viewers.